This program is designed to provide training in the art and science of collecting, evaluating, and analyzing population and reproductive health data. It is designed for individuals working in population, reproductive health and HIV/AIDS prevention programs and other related areas in academic institutions. Students are exposed to a wide range of theoretical and applied research with special emphasis on socio-cultural issues related to reproductive health. The shift in the population field from the traditional focus on family planning to new and innovative programs in reproductive health means that advanced training in program evaluation continues to be important. 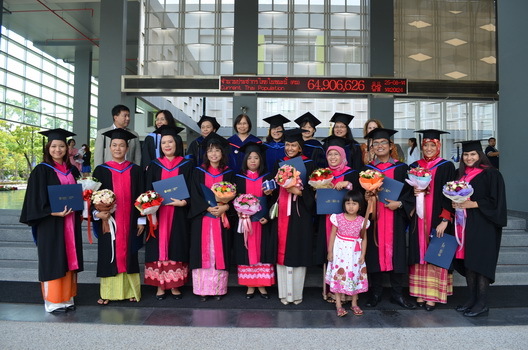 The IPSR Masters program includes monitoring and evaluation components in a number of courses, with one course devoted entirely to techniques of program evaluation. The 12-month program consists of three semesters.The first two semesters are devoted to course work, to build a strong foundation for conducting independent research. The third semester is spent completing Master’s thesis. The program curriculum consists of three substantive components: demography, reproductive health including HIV/AIDS, and research methodology. For more information, see the International MA in Population and Reproductive Health Research’s webpage.